Bonnie is still struggling to save her life. Damon will be seen trying to save her by doing things which are expected to raise eyebrows of many. We may see many new events which would put the relationship of Stefan and Caroline in a new light. Here we have the official synopsis for the upcoming episode. Check it out and see what it says. 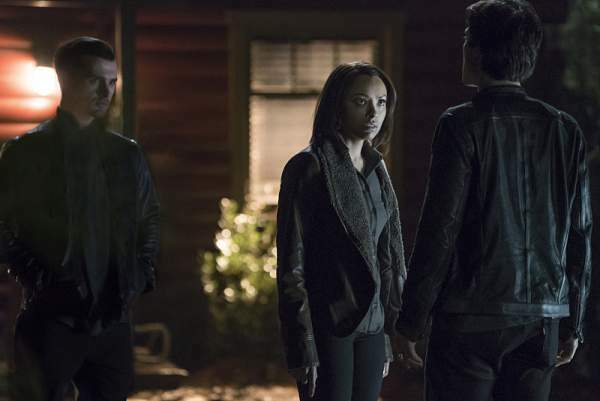 “When Damon’s (Ian Somerhalder) risky attempt to save Bonnie (Kat Graham) takes an unexpected turn, the consequences of his actions forces everyone to band together to help her pull through. Meanwhile, when a new threat leaves Caroline’s (Candice King) life in jeopardy, Stefan (Paul Wesley) makes a rash decision that ultimately forces them to face the fallout from their relationship. Whatever is going to happen will happen definitely, but the sure thing to have is confidence. It will pave the way for sure for TVD season 7 finale which will air May 13, next month. The Vampire Diaries Episode 21 “Requiem for a Dream” of season 7 will air on May 6 at 8 pm ET on the CW. Stay tuned for latest TVD news and updates. Share your views and thoughts. What do you expect for the next week? Please start and join the discussion.